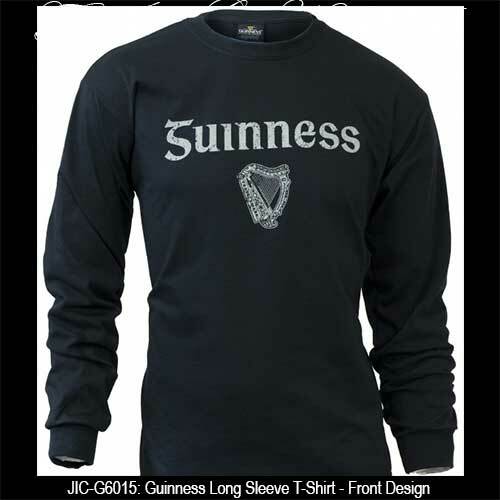 The front of this long sleeve Irish t-shirt features the Guinness harp. The Gaelic Guinness t-shirt features distressed print designs on both sides. 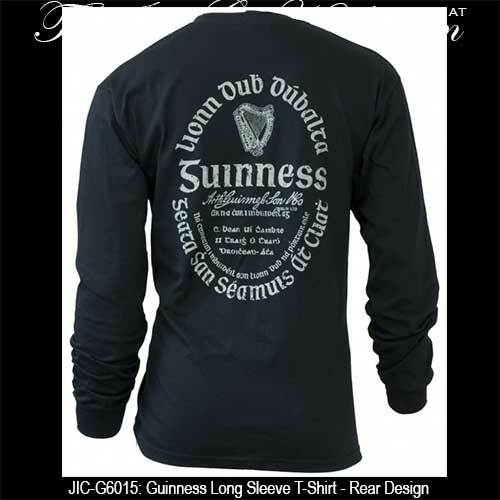 This long sleeve Irish t-shirt from The Irish Gift House is 100% pre-shrunk cotton and is the traditional black color that is suitable for any Guinness t-shirt.